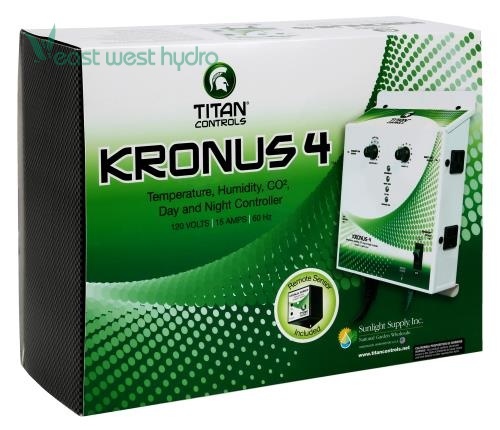 The Titan Controls Kronus 4 is a grow room controller for temperature, humidity and CO2. The built-in ten (10) minute "CO2 delay" feature deactivates CO2 equipment if the temperature or humidity settings are exceeded. The "CO2 ON" feature is only activated during daylight periods to dose CO2 when your plants are able to uptake it, and is disabled during the nighttime hours or when the humidity or temperature exceeds the preferred settings. The "Night Only" output allows use of a nightlight or circulation fan. 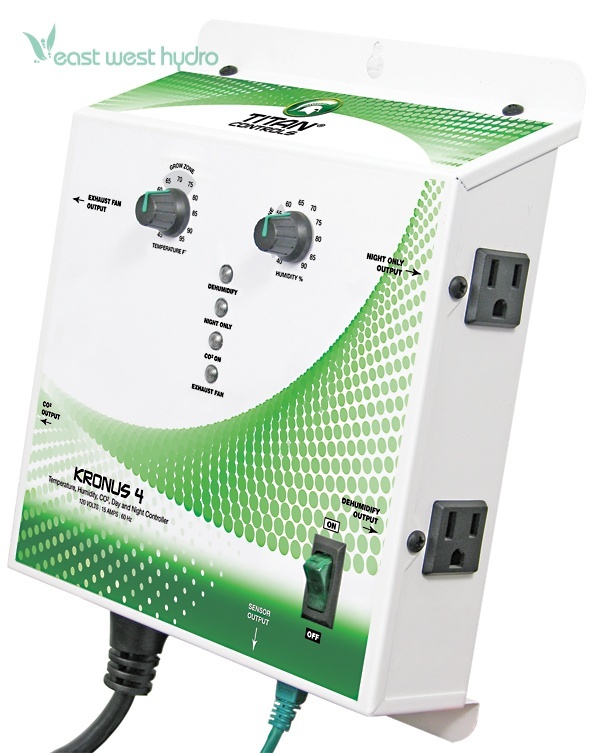 The Kronus 4 gives the expert gardener the top shelf controller they’re looking for to maintain their garden! 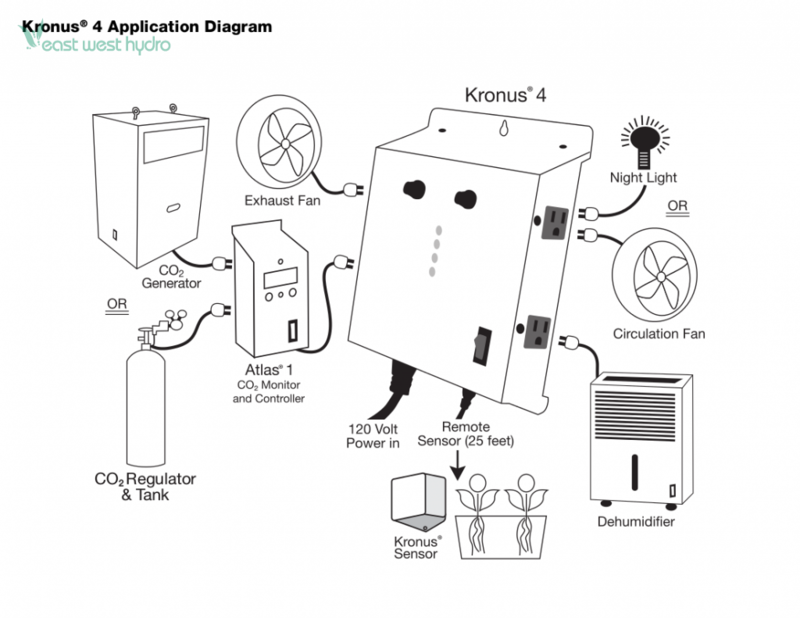 Controls CO2, DAY/NIGHT temperature and humidity in your garden. Features a "Night Only" output to assist the gardener with the maintenance of the garden after the lights have turned off. Easy to understand and use highlighted "Grow Zones". 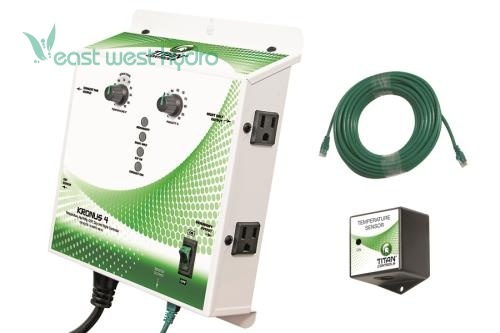 15 Amps/120 Volts/60 Hz. 3 year warranty.